We have a Facebook page too now! 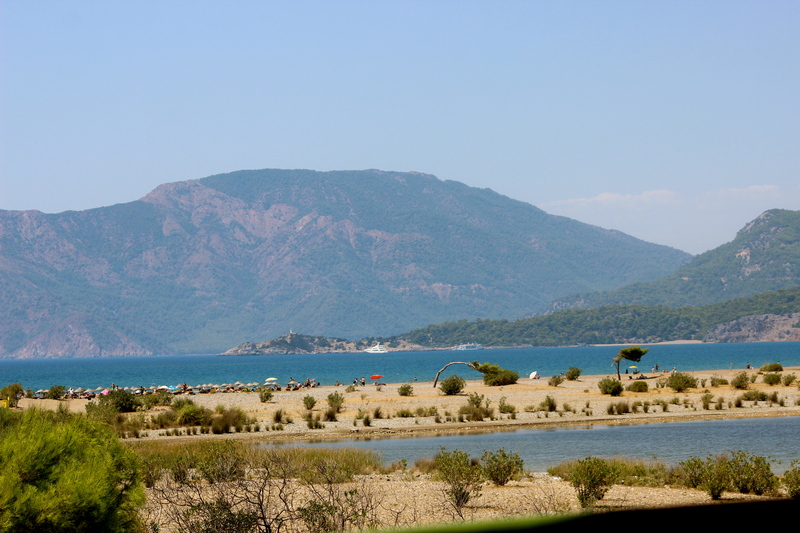 We arrived in Dalyan safely, our Turkish road trip one to remember thanks to the stunning landscape –but also our driver Michael’s rally-style driving. 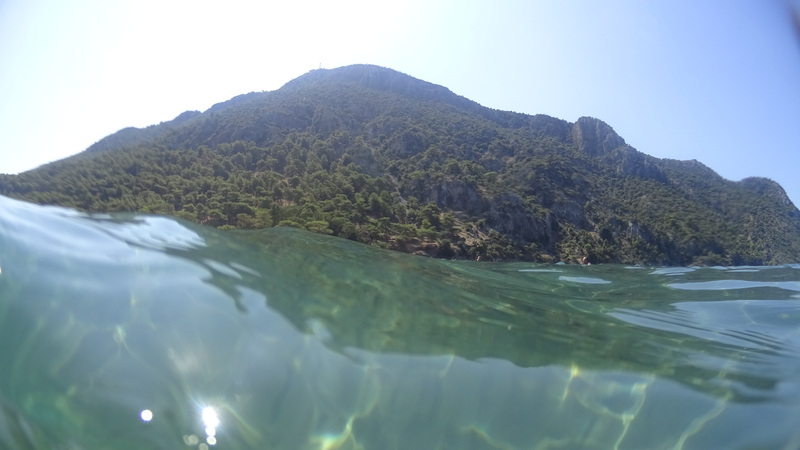 Anyway, now we’re in Dalyan for only two full days so get to work seeing what we can. Luckily it’s not that big and very manageable in those two days. 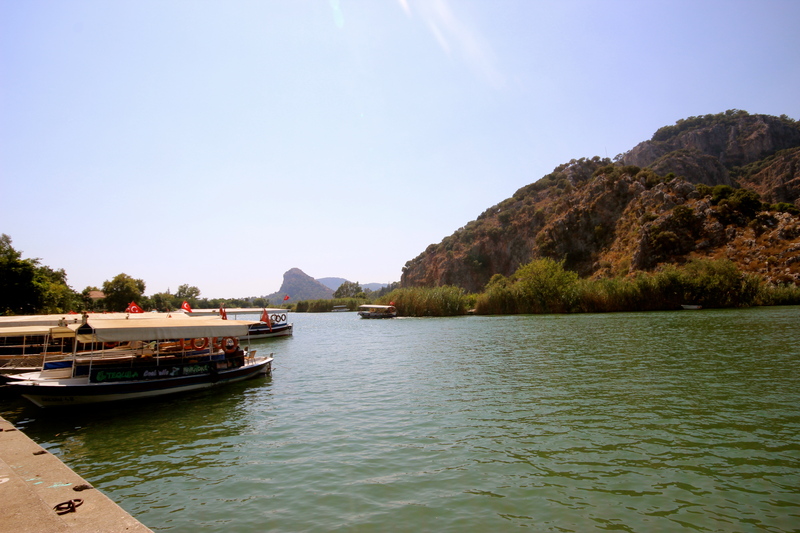 Dalyan is a little strange at first, as there are a few streets which make up the very centre of the town, which are pumping –full of tourists, restaurants offering dancing shows, markets selling trinkets and souvenirs. 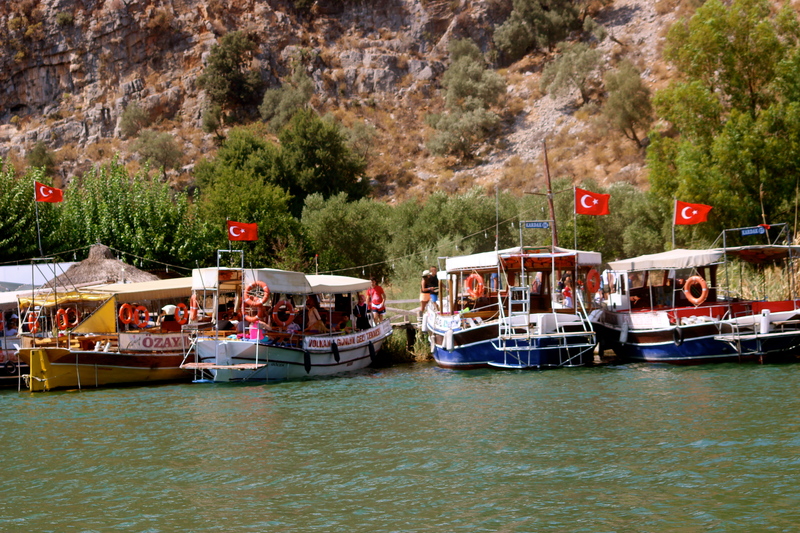 But as soon as you walk no more than 30 seconds away from this epicentre, it’s like you’ve entered another vortex and you’re in a much quieter, much more authentic Dalyan. There’s a butcher’s shop that doubles as kebab shop, gardens with chickens running around, the sounds of the local mosque reverberating across the town. 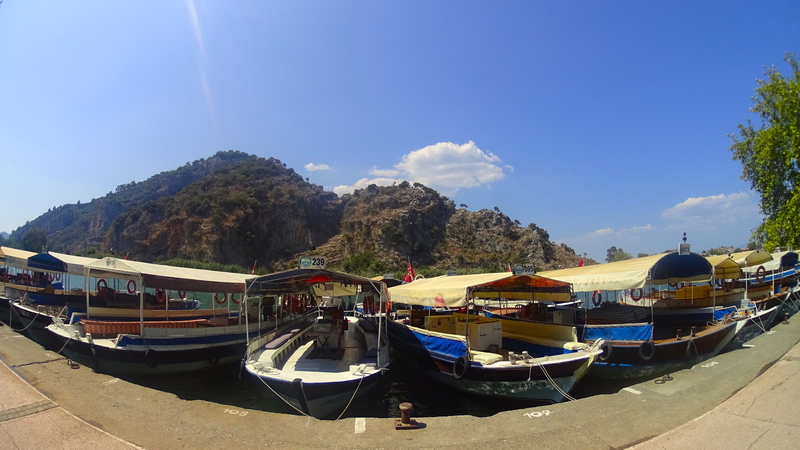 There aren’t really any hostels in Dalyan, but thankfully there are a lot of good value hotels that when we split the price between us, cost not much more than a bed in a hostel would. Enter the Han Dalyan Hotel, a small, family run place which will serve us just fine for the next three nights. It’s a little run down, but is still perfectly clean, bed comfy and there’s a pool –so it’s nothing to worry about really. For our first dinner, Murat, our friend from Bodrum who is now our unofficial guide, speaks to a few people in town to get some tips on where to eat. We end up at a small Kebap grill restaurant just on the edge of the centre, along with another friend from Bodrum Eco Farm, Francie, who made the spontaneous trip to Dalyan as well. It’s funny, how quickly and easy it is to make friends on the road. Only a few days ago we didn’t know Murat or Francie, and now we’ve travelled to another town together, eating yet another meal together, as if this is Kebab spot our normal hangout place. 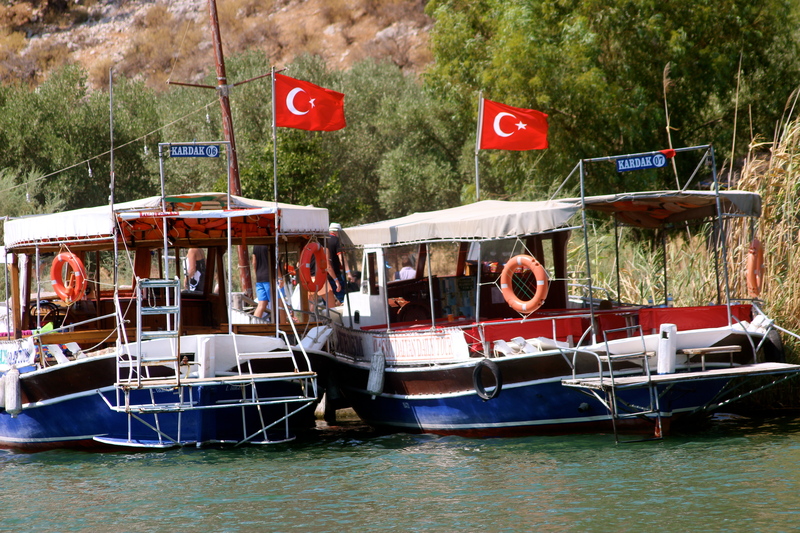 The next day, we head back into the centre –only a two-minute walk from Han Dalyan – and walk along the river marina where there are seemingly infinite boats waiting to take you anywhere. 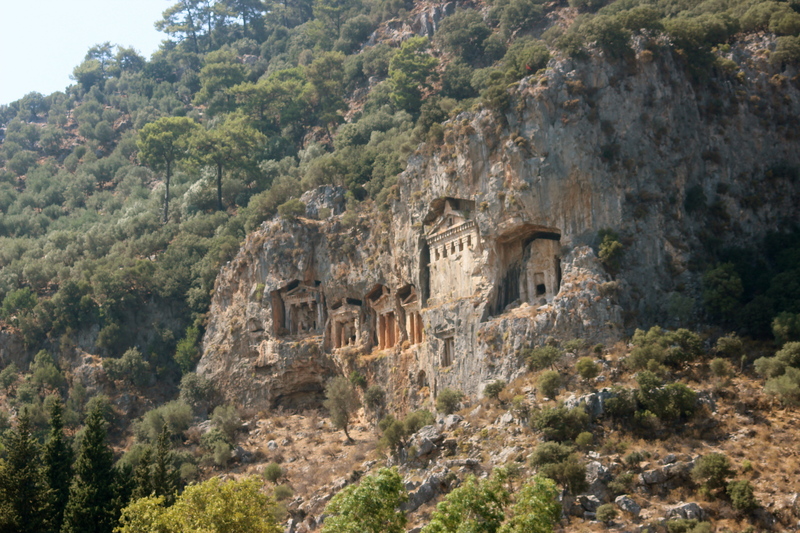 Just above the boats, towering down on Dalyan, are the Lycian ruins carved into the rockfaces. It’s something pretty nice to behold. 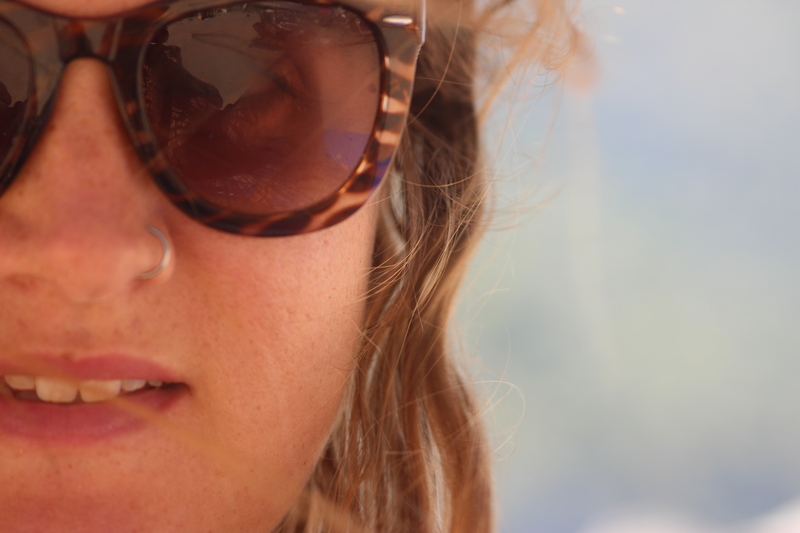 I wish I could tell you we then went on a life changing hike and sat on the edge of a hill and pondered the meaning of life and travel as we overlooked Dalyan. Truthfully after our walk around the centre and along the river, we ate some Pide and then headed back to the hotel where we enjoyed the pool for most of the afternoon. It was life changing in a different way that a hike would have been, in that I thought what it would be like to stay in hotels with pools all the time on holiday, like I imagine most adults do –plus I got to have this revelation in the shade while reading my kindle. I was too relaxed to even snap a photo for you. 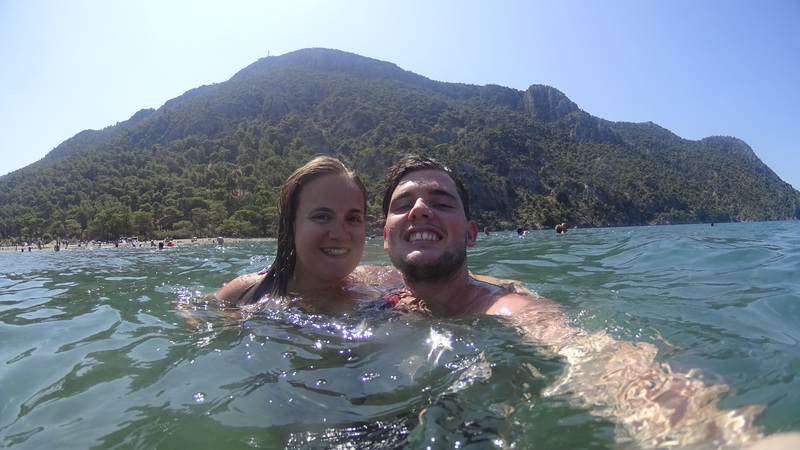 The next day was already our final full day in Dalyan, so we were off to the famous Iztuzu Beach, also known as ‘turtle beach’. It takes about 20 minutes by Dolmus from the centre and only costs you a few coins each. The ride alone was getting excited for the beach, especially as you turn a few corners and then suddenly are faced with this amazing panorama. We jump off the bus and soak it up. You can see instantly why it’s previously been voted best beach and best open space in Europe. 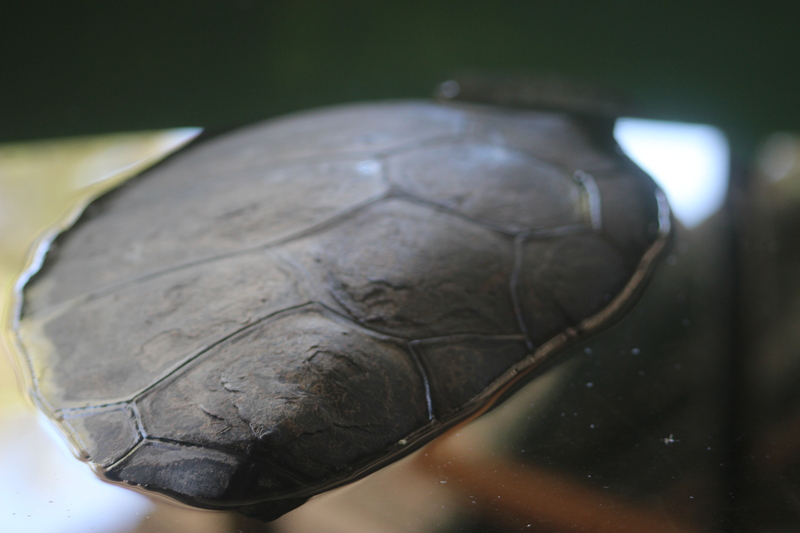 It’s a long stretch of beach, 4.5km, but it’s very quiet and very peaceful –there are no animals, vehicles or speedboats allowed near the beach because of the conservation efforts for the loggerhead turtles. 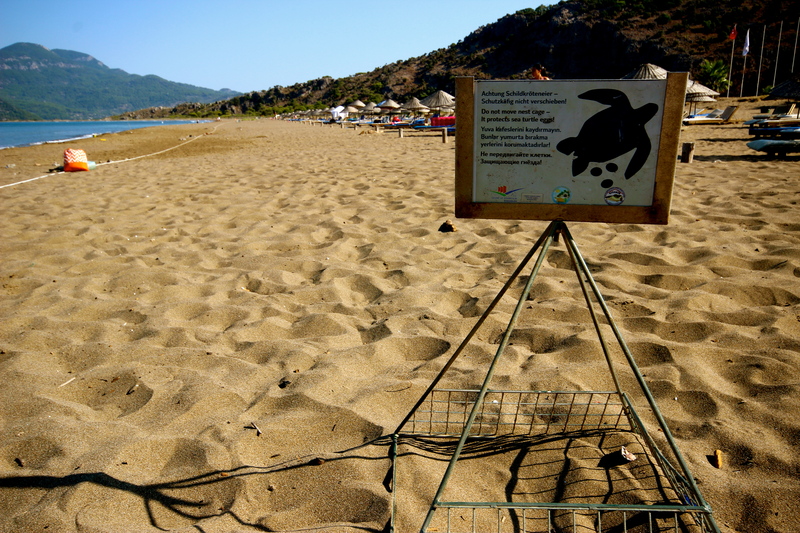 There are wooden steaks set up along a certain part of the beach where the turtles’ nests are, where it is prohibited to dig or even sunbathe. 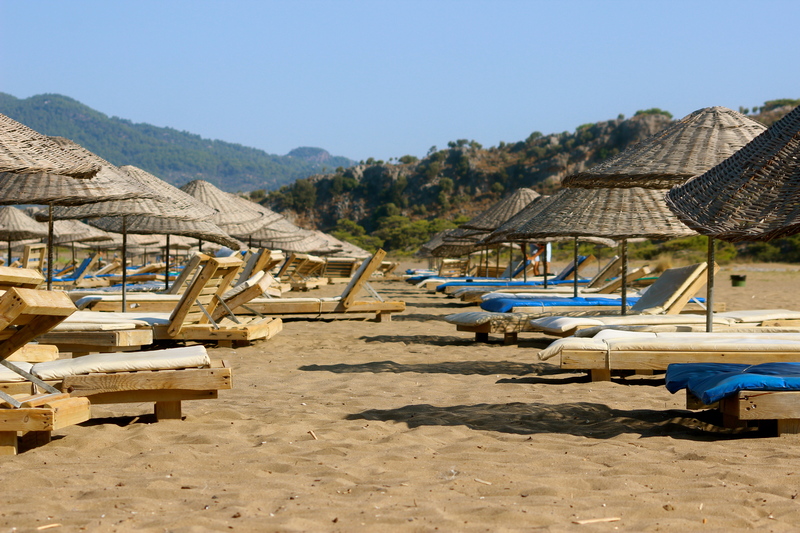 We arrive at Iztuzu quite early it seems, about 9.30am, and so we snag some day beds and an umbrella straight away. 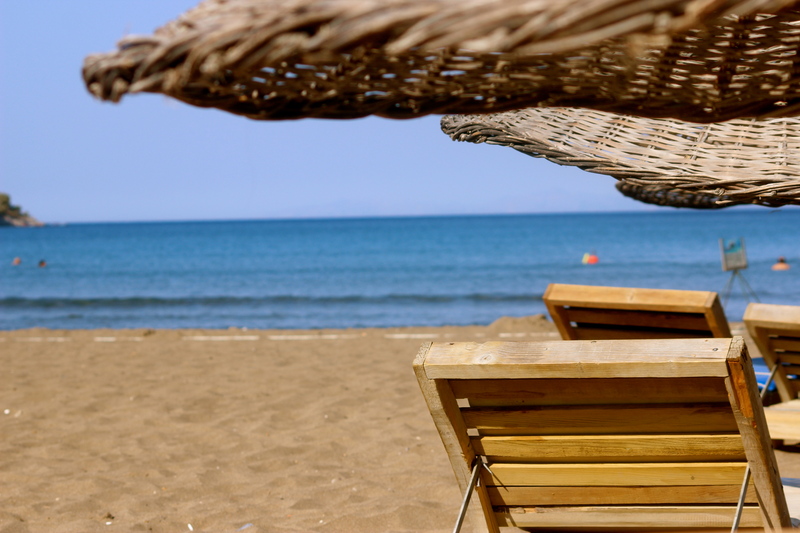 Only 10 minutes later Murat and Francie arrive, and we spend the rest of the morning soaking up the tranquil Turtle Beach. 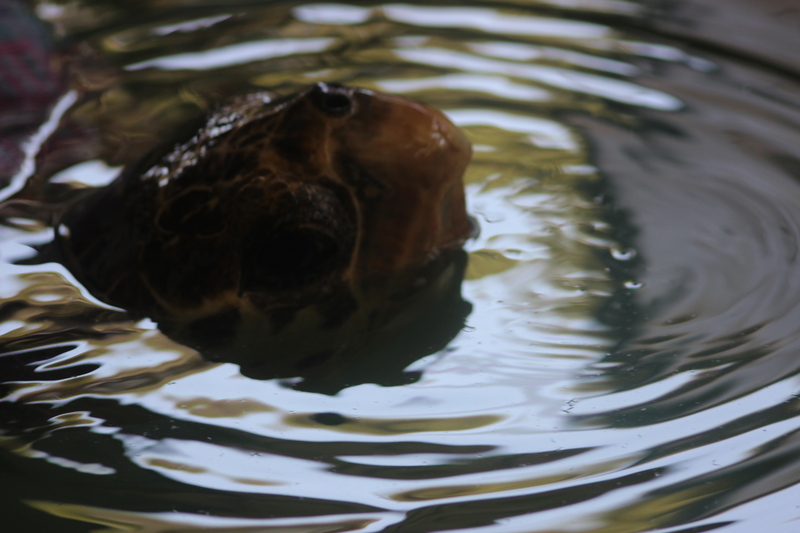 Come lunchtime, the winds and the crowds have picked up, so we take our leave and go and check out the Turtle Rescue and Rehabilitation Centre just back from the beach. It’s a small place, but full of University students and professors carrying out their important work. 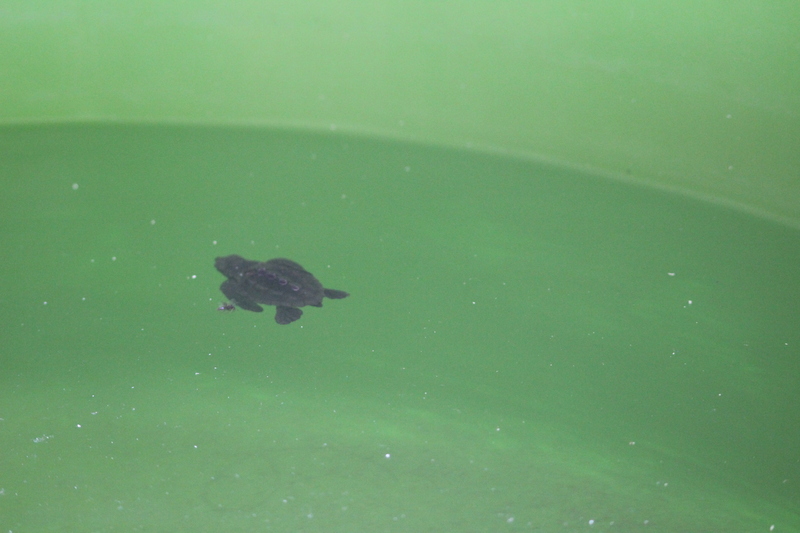 You can see a few turtles, ones that are being cared for after sustaining an injury or even baby turtles who didn’t quite make it to the ocean the night before. 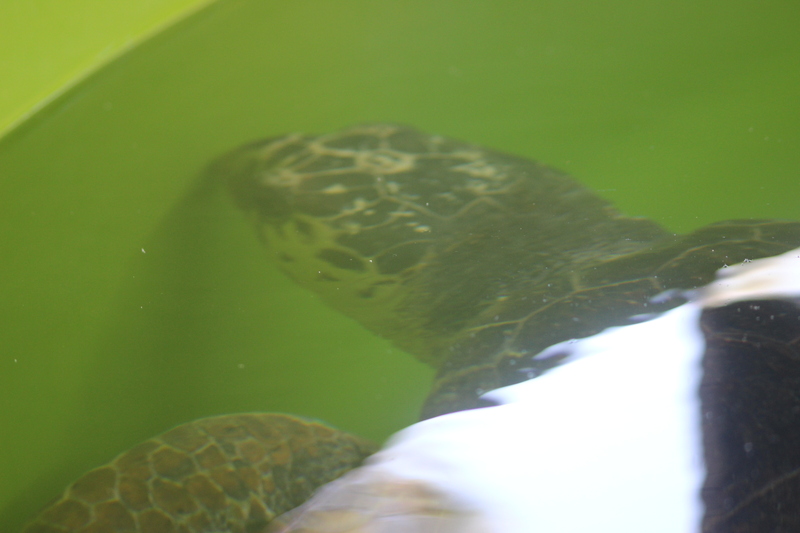 All of them are looked after and then released back into the ocean once they are ready and full healed. After the great day of beaching and learning about Dalyan’s native turtles, we finished our time here by eating out with Murat and Francie again. Daniel had found a place called Saki, right on the river, although still a little tucked away from the main tourist trap establishments. 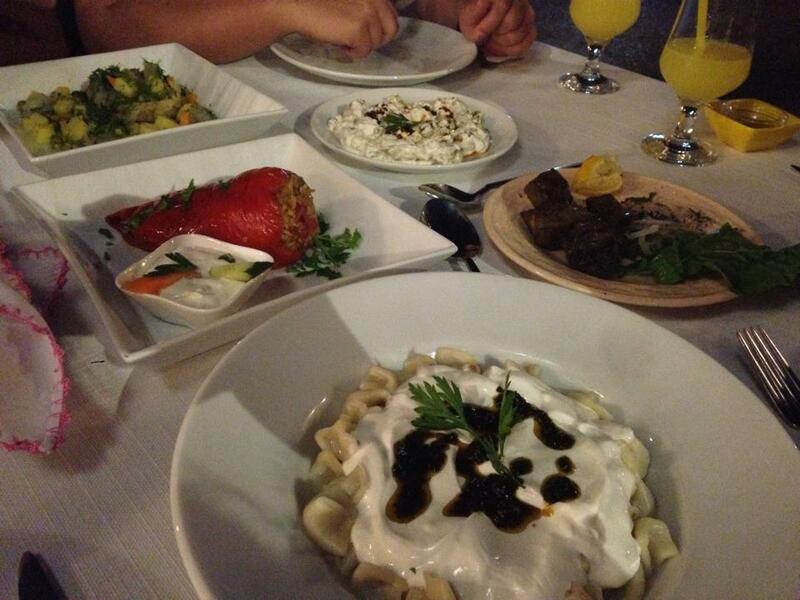 As with most good restaurants in Turkey, it’s a family run place, something which is happily apparent as you walk in. 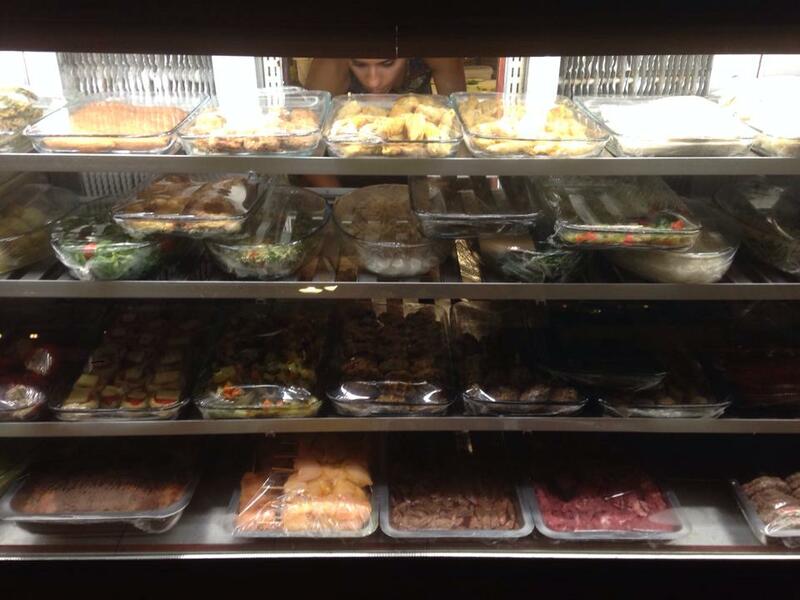 Also, they don’t have a menu –instead all of the food is presented in a fridge cabinet, and you select whatever you please, then they cook it fresh. A very friendly waitress was on hand to explain what everything was, and it all looked delicious. 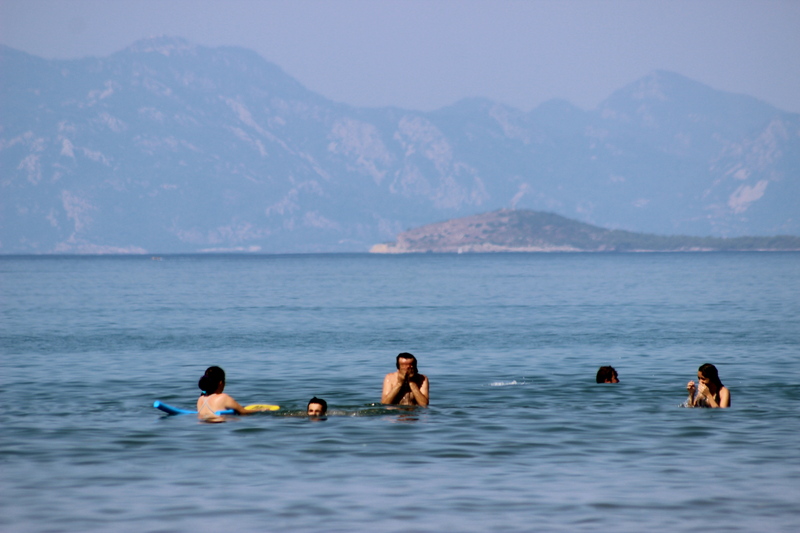 She spoke perfect English, but Murat soon took over and started chatting away in Turkish. Soon, he had secured a deal for the four of us, where we’d pay 30TL each (about $15AU) and the waitress was going to choose several dishes for us, ranging in origin from all over Turkey. I don’t think I’ve ever been so full in all my life. The food came out in stages, and whenever we thought it was done –another three dishes would appear in front of us! We enjoyed everything, from stuffed capsicum, to ‘mante’ to lamb livers even. Since we were far too stuffed to squeeze in dessert, the staff brought us some home made cherry liquors to finish the evening with. Perfection. 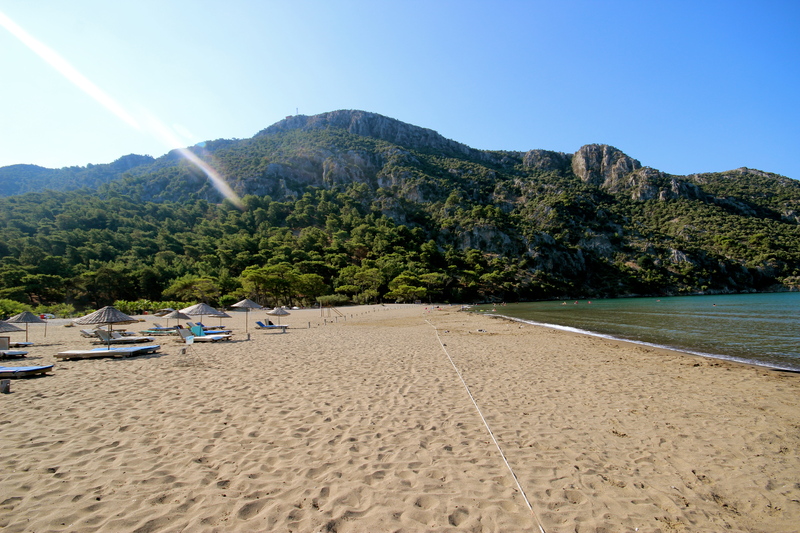 For now, we continue down the coast to the popular city of Fethiye. Franci heads on a night bus to Istanbul, while Murat continues to act as our unofficial guide and will follow us to Fethiye. Helpful considering the Turkish language seems to be one of the most complicated we’ve come across yet!